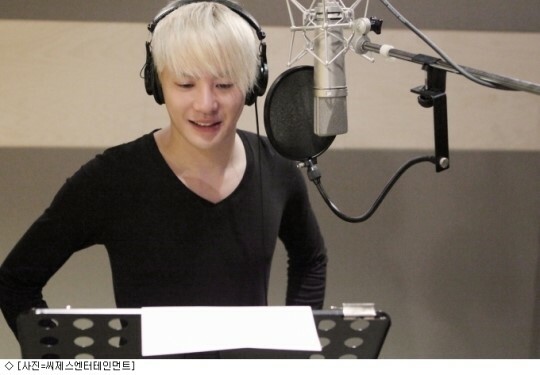 JYJ’s Kim Junsu will be participating in the OST of KBS’s Wednesday-Thursday drama ‘Chun Myung’. During the fifth episode of ‘Chun Myung’ that aired on the 8th, Kim Junsu’s OST was aired as a surprise treat, immediately becoming a hot topic amongst viewers. Netizens who got a sneak peek of the OST during the drama gave an explosive response to the song as they said, ‘Kim Junsu’s OST is great. As expected, he has a voice that entrances the heart’, ‘Oh my god, I can’t hide my excitement. Kim Junsu’s voice is awesome,’ and ‘The song seems to represent Won and Da In unfortunate situation so well. I can’t wait for its release.’ ‘Chun Myung OST’ also rose to the top of real-time search rankings after the show aired. Meanwhile, Kim Junsu’s ‘Chun Myung’ OST ‘Foolish Heart’ will be released on the 15th.